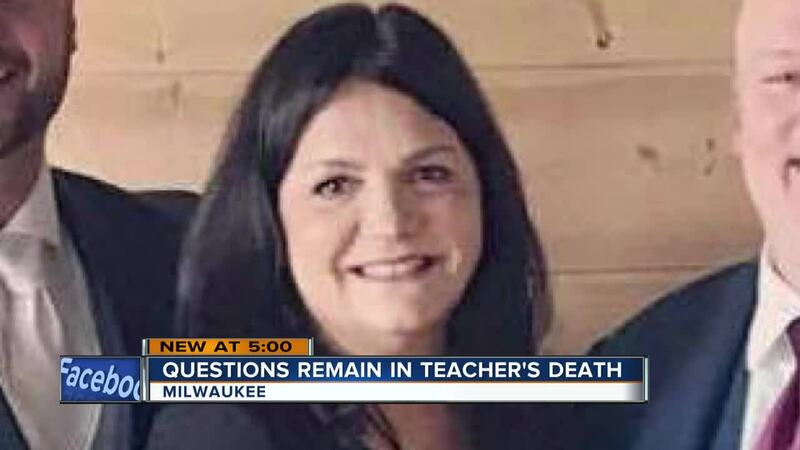 Friends and family continue to seek answers after a beloved Milwaukee teacher was found dead in her car miles away from home. Kathleen Ryan, 56, was reported missing Saturday and discovered in a burnt vehicle near North Route 41 in Warren Township, Illinois. She was a business teacher at St. Augustine Prep, who students like Carlos Atilano say took on the role of mom. “She was there for everyone who needed help,” Atilano said. Ryan was unlike any teacher he ever had. “She gave me motivation to keep going to be stronger, and that made me feel comfortable because I knew I had someone there to help me get through all the pain,” he said. Every day she encouraged him in class and offered him hope about his mom who has cancer. “Mrs. Ryan would pull me aside and she’ll talk to me and she’ll tell me things will get better,” he said. However, now it is hard for him to know he he won’t have that shoulder to lean on in school anymore. Ryan’s cause of death is still unclear as the Lake County Coroner’s Office continues to conduct tests. “We look for accelerant. We look to see you know what exactly is in the car,” County Coroner Dr. Howard Cooper said. Dr. Cooper said just like other similar cases, they’re treating this as a homicide, and it will take some time before they release any findings. “We’re all looking at it, trying to investigate everything we can to try and put it all together and see what the actual story is,” he said. In the meantime, Atilano is trying to stay strong just as Ryan would want him to do. “I’m still going to pursue my dreams for her and accomplish it for her so she knows I’m doing something right for her,” Atilano said. The Lake County Sheriff says they’re still actively investigating Ryan’s death. Anyone with information about what happened is asked to contact the Sheriff’s Office at 847-377-4159. To read the full letter to parents, click here.